This is the prize that I want to win - Motorola Roadster In-Car Speakerphone. I would love to win the Roadster. I hate my bluetooth, so this would be so cool to have instead. already subscribed and want to enter! Love the newsletter. Very informative. I get your great newsletter and I want to win! I’m already a subscriber, please enter me in the Roadster drawing. I want to win BAD! I want to enter for this giveaway. This would be great!! I’m an email subscriber. I wanna enter. I wanna win too lol. GOOD LUCK TO EVERYONE WHO ENTERS!!! Email subscriber at graywolfpack5@yahoo.com and I want to win this real bad!! Already receive your great newsletter. Already receive your great newsletter. Would love to win the bluetooth speaker! Am a facebook fan! 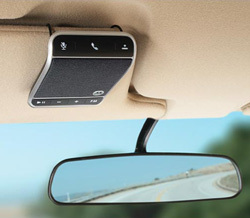 Would love to win the Motorola Roadster In-Car Speakerphone. Would be great for carpooling all my kids around. Please enter me in the Motorola Roadster In-Car Speakerphone Giveaway. I already receive your e-mails and have always been a fan! Winning the Roadster could save a life. contest entry please. inviting friends to get your emails also cuz they are awesome. posted my fb entry without my email addy but did include it here. thanks for all the knowledge you pass on…you all rawk!! I’m already a subscriber. Please enter my name to win this give-away! I already subscribe. Would LOVE to have this! Hi! Us, too, please! We appreciate the opportunity! Thanks! Please enter me in the drawing for liking Techilicious on Facebook. I signed up and would love to enter and win - Thanks ! Free is me! I’m feeling lucky! For someone like me who doesn’t know a lot about tech stuff,you have been giving me a lot of info that I can use and I reallly appreciate it so much!!!! california has a hands free law so this would rock! I subscribe and I would love to win. love ur website, great job! Pls enter my name on the contest.